Keep in mind if you want to see anything up close, click on the photo and it will take you to the SmugMug gallery for that photo. Valentine’s Day is a misnomer for me. It is more like Valentine’s Month. 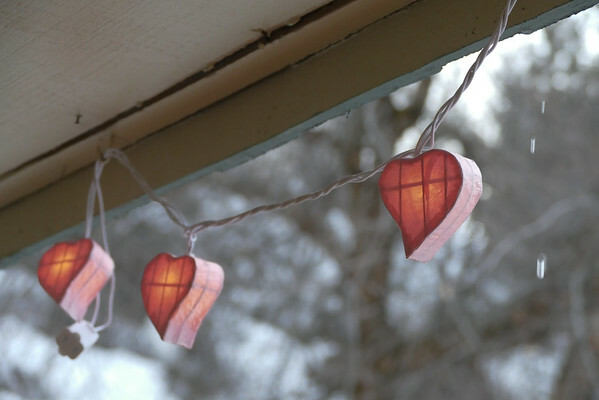 When we returned from the sunny desert I was faced with taking down all the Christmas lights, those little brilliant sparks around the porch and fences that hold the dreariness of winter at bay. I solved that problem almost immediately, after all, it was at least February before I brought out the two small boxes that hold my Valentine lights and decorations. 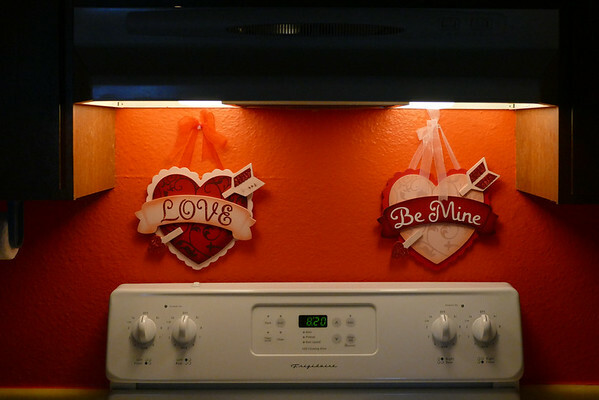 I had to laugh because I kept a couple of old Martha Stewart magazines that looked Valentine pretty. One was from February 2010 and one was from February 2001. Before 9/11. 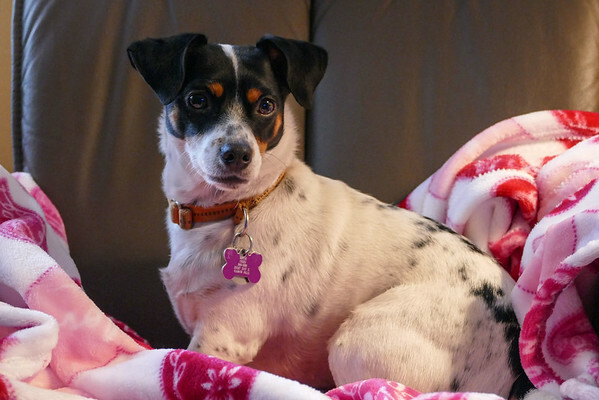 I am back to quilting in the upstairs apartment, back to trying to get in my daily 10,000 steps with Mattie. 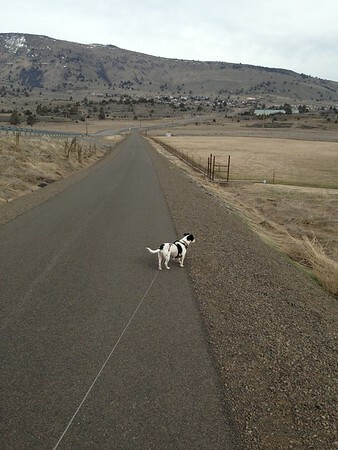 We walk from the house here on Old Fort Road, and can manage 3 or 4 miles of roadside walking. I am waiting for the snow to melt before we tackle the mountain trails again. When I don’t want to face the steep hills of my local road, I’ll drive a few minutes toward town and walk the 4 mile round trip of gentle paved bike trail that borders Foothill Blvd. Always surprises me that the trail seems to get so little use. A biker here and there, a runner sometimes, but I have yet to pass a dog walker. 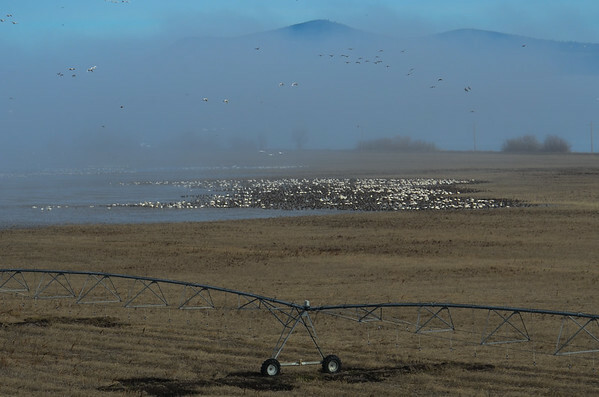 February may be a dreary month, at least in this part of the world, but the best part of February in Klamath Basin is the magnificent migration. We drove to Medford the day after Valentine’s Day, winding around Lakeshore Drive on our trip to the big city, and rounding a corner along a water saturated grain field we saw a magnificent sight. 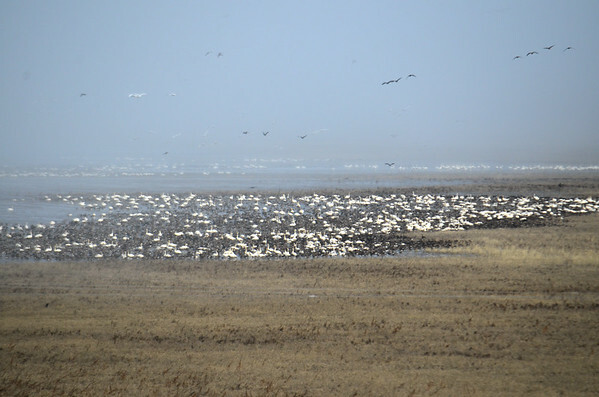 Thousands of tundra swans and white front geese were gathering in the fields along with many other unidentified geese and at least ten bald eagles and one golden eagle. It reminded me of what I had forgotten. If the days seem dreary or chilly and quilting and housework and tv get tiresome, just load up the car with cameras and jackets and go find the birds. I had only a phone with me for the trip to Medford. Birds were not on my mind. 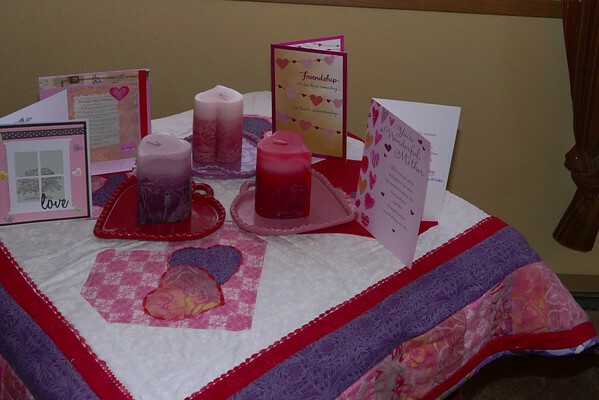 We had a plan to go to the quilt stores, Mo to spend unlimited browsing time at Harbor Freight, and then to celebrate a late Valentine’s Day with fabulous halibut at McGrath’s Fish House, and to purchase two luxurious pounds of hand picked chocolate from See’s, a Valentine tradition. I threw in a visit to the dermatologist, where she burned off a few more reminders of my southern california upbringing near the beach. I remember Monday mornings after long beach weekends when I couldn’t go to school because I was sick and feverish and had huge blisters on my legs that were so bad I couldn’t straighten them out enough to walk. Who knew. I should have been dead by now. Returning from town that evening, I put a big note on the calendar. BIRDS! 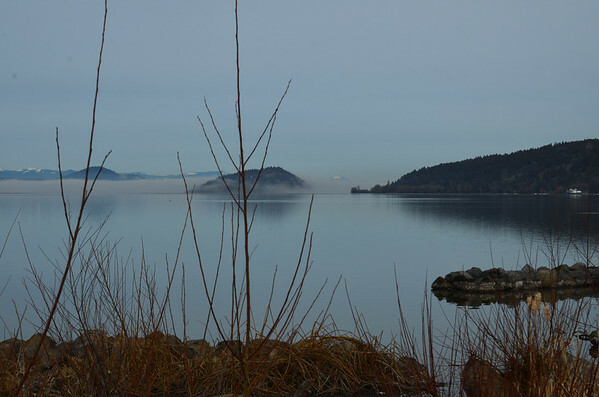 So Tuesday morning we loaded up the truck and the dog and the cameras and headed for Lakeshore Drive. Skies were a bit cloudy but clear until we reached the birds, where a low bank of fog protected them from view and gave both my cameras fits trying to get some good shots. Sure do wish I had one of those big lenses like Judy. My Nikon lens has a hard time at that distance as does the longer zoom on the Lumix. Still, the best moments had nothing to do with the photos. Mo managed the truck along the narrow road while I walked searching for better shots. 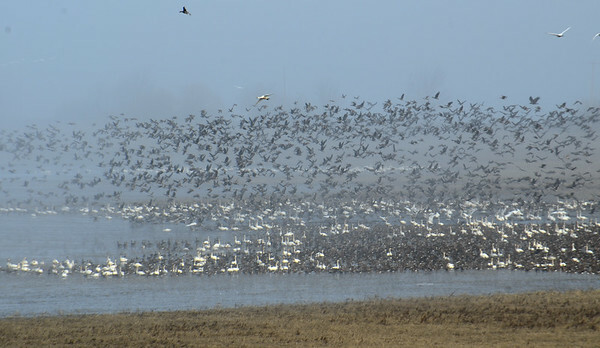 In the distance, something spooked the white front geese and in a moment there was a huge lifting and rushing sound of thousands of wings and calls. I stood there transfixed, knowing that no photo, no recording, nothing could capture that feeling and that moment except my own memory. The sounds somehow felt uplifting. As the birds lifted and their calls reached across the fields, I felt as though maybe there was hope for the world. 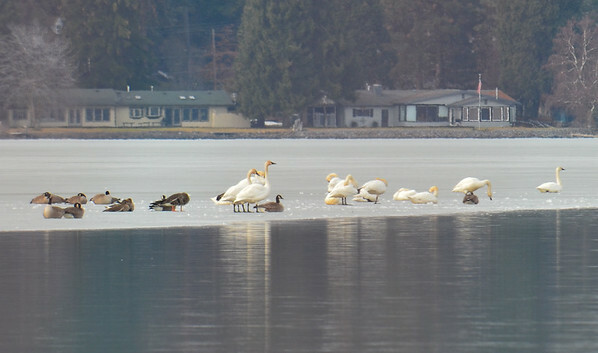 The birds are still migrating, the patterns of the seasons still bring snow melt and sunshine and hope. It was a good day. It is good to be here, although this day has slipped by rather quickly without much to show for it. I guess it is often like that when returning from a winter escape. 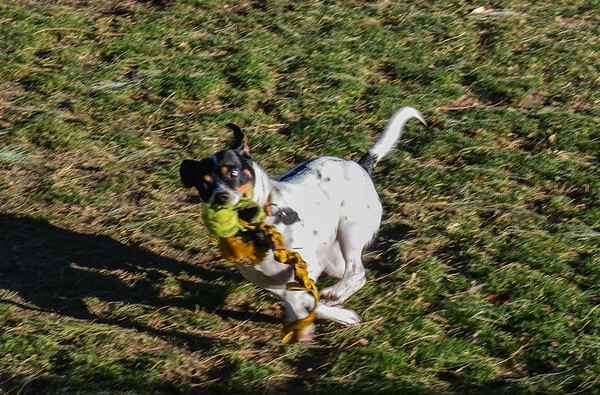 Lucky for us, the weather is gorgeous, and even though there are huge mountains of frozen snow piled up in berms around the driveway, the temperatures are in the 50’s with the same predicted for the rest of the week. We had a good trip, with the weather angels staying by us most of the way. The huge winds that were predicted in the desert happened around us, and we managed to avoid being on the road when they blew. Highway 58, opened once again after our one day delay, was dry and bare, with snow all around the hills but none on the road. We had no rain to speak of all the way home, even though some was predicted. 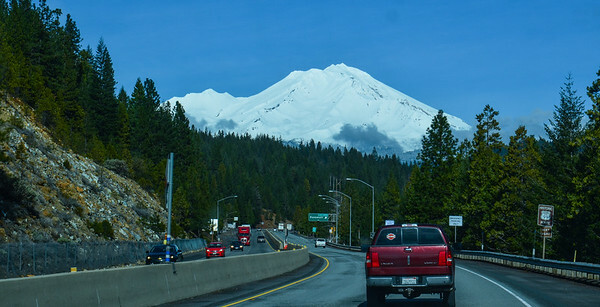 The passes in Northern California and into Oregon, both over Mt Shasta and the Siskiyous, were bare and dry, with gorgeous sunny skies accompanying us as we zeroed in on the cottage in Grants Pass. Mo and I took an extra day there to clean up the cars and the MoHo, to get all the laundry caught up and make sure the little cottage was all spiffy for our next visit this coming month. On our way home, we stopped in at Rocky Point to check on the house, and while still buried in snow, everything looked just fine. It is good to have friends and neighbors watching the house. There isn’t much left there to worry about anyway, with most everything moved either here to the apartments or to Grants Pass. Who knows with the winter we have had this year when the snow will melt and we can get on with the project of making the house look pretty, spiff up the yard, and put her on the market. 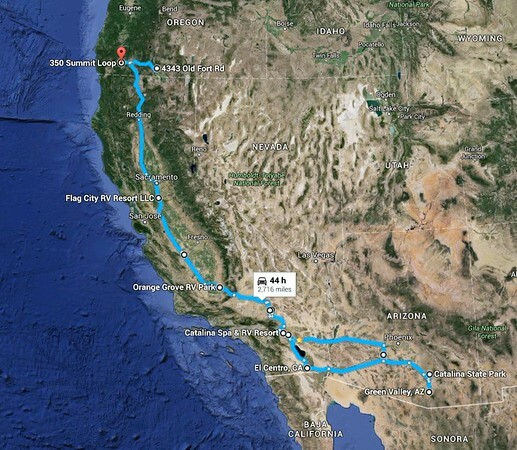 We traveled about 2800 miles in the three weeks we were out, spending less than $66. per day. I can only attribute that low daily budget to the much lower gas prices we encountered throughout both California and Arizona. It was rather amazing to pay $1.53 for a gallon of regular 87 octane gasoline. Even California had prices below $2.00 per gallon in many places except the Coachella Valley. We spent $412 on camping, and only $695 on fuel. 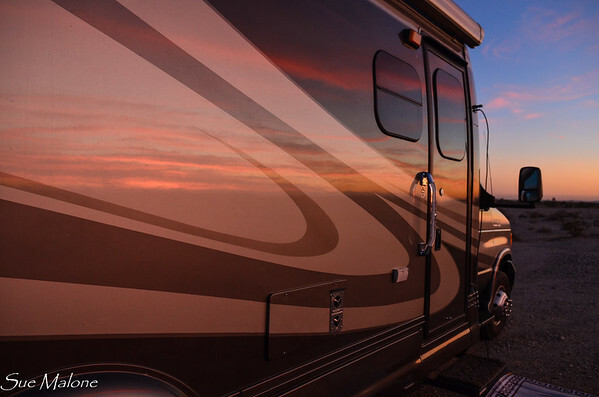 When gas prices are high, traveling in the MoHo is on a par with traveling in a car and staying in hotels, but when fuel is this low, it is much more economical to travel in our RV. We love it so much more anyway, we would choose it over motel/hotel travel most of the time anyway, especially in the western part of the United States. We have a few small trips planned in the next months, but our main focus is getting the Rocky Point house ready for sale and sold. Who knows what life has in store. I learned from close friends recently, and from a private incident in my own family, that the cards can turn on a moment’s notice. Time to appreciate every single moment with those I love and live my life fully in the present, rather than day dreaming about what is coming next. I am glad to be home. Sometimes a simple moment can really take your breath away. 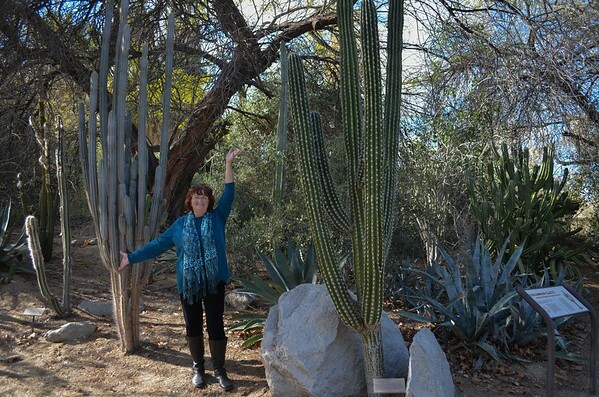 Mo and I were at the end of our long and pleasant day walking the grounds of The Living Desert, a zoo and desert botanical garden in Palm Desert, in the Palm Springs area. 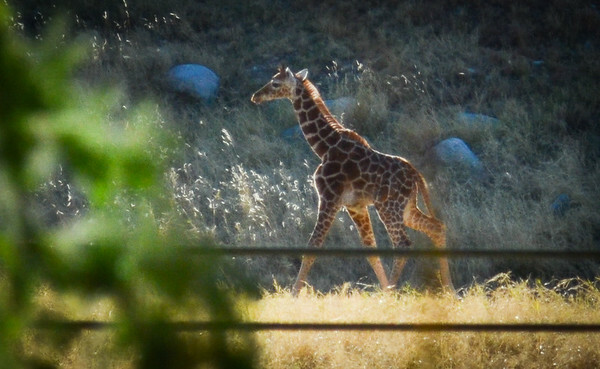 We knew there was a baby giraffe, born just a week or so ago. We also knew that folks said they were keeping the baby away from the crowds so we weren’t really expecting to see him up close. It was late in the day, and we were walking along the savannah exhibit where the giraffes are kept, looking at the pretty landscape, when suddenly Mo gasped as a long neck appeared beyond the hills. 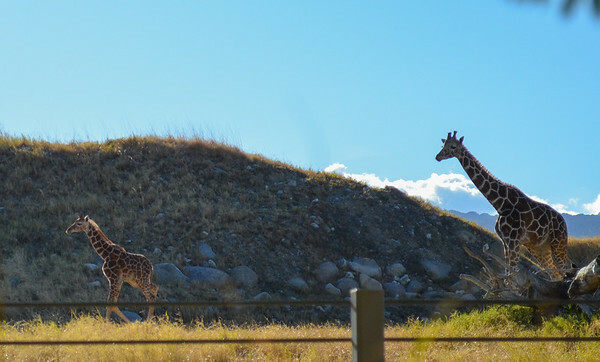 It was just too funny, and within minutes two adult giraffes were walking the trail over the hill and then there he was, the little one. They were amazing to watch. I only picked up “Out of Africa” to read a few days ago, but in the very first chapter the description I quoted above can be found. After watching them amble out of sight, I can only imagine what a thrill it must be to see these beautiful animals in the wild. I decided I needed to go back and view Erin’s Smug Mug photos of their African Safari to see if she had giraffe photos to add to her amazing wildlife repertoire. Sure enough, she does. If you have a moment to enjoy a real treat, check out her photos here. We left our boondock site at Ogilby Road on Saturday morning on January 30. I think the two days we spent there were some of our favorites of this season. The wind that was predicted for just about everywhere in the southwest left us alone, and we enjoyed the days from sunrise to sunset. An especially endearing moment was watching Mattie when she saw the vastness of that desert landscape for the first time. Instead of jumping out of the MoHo to explore, she parked herself on the inside step, viewing that huge space with what seemed to be a bit of trepidation. You could almost see her thinking, “This is just to big and open and scary. Think I’ll stay right here in my house.” Once we took her out, she loved it, with so much space to run and play without any restriction. We walked with her, but no leash was needed and she loved that. We decided to return to Desert Hot Springs for a couple of days at the Catalina Spa pools before continuing north back to Oregon. Two nights were enough, we thought, but the weather had other plans. The big winds hit hard on Saturday night and some of the trees next to the dog park behind us succumbed to the high winds. The predictions were for even higher wind warnings on Monday when we planned to leave. Nope. 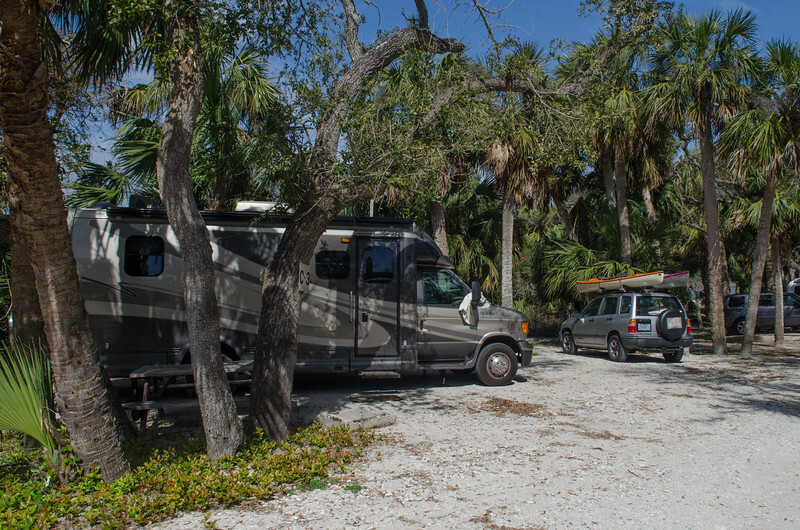 No need to get hasty about getting on the road, and we simply extended our stay for another day. Monday February 1 dawned mostly clear and gorgeous, with the winds at Desert Hot Springs strong but not unbearable. It was a perfect time for us to explore one of the more well known attractions in the Palm Springs area. 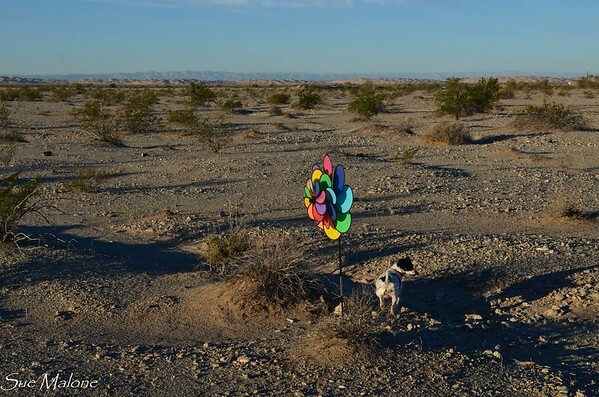 We had never been to the Living Desert, for several reasons. It is a bit spendy, at $17.95 for seniors, with other charges for the little extras. (We chose to skip the special shows). We also had a dog, and the place is not dog friendly. Be aware that even the parking lot on a cool, cloudy day is not dog friendly. Dogs left in cars will be reported to the Humane Society. We planned accordingly and parked Mattie safely in the shade down the road from the official gate entry where there is ample street parking with all day shade. With temps in the 50’s, we had no worries about her overheating. I enjoy zoos, some of them, and took time to read that this one is accredited with the AZA, which may or may not be enough to keep some people happy about zoos, but it is good to know it has been reviewed, that the habitats are as good as they should be for captive animals, and that they participate in breeding of endangered species for the world. 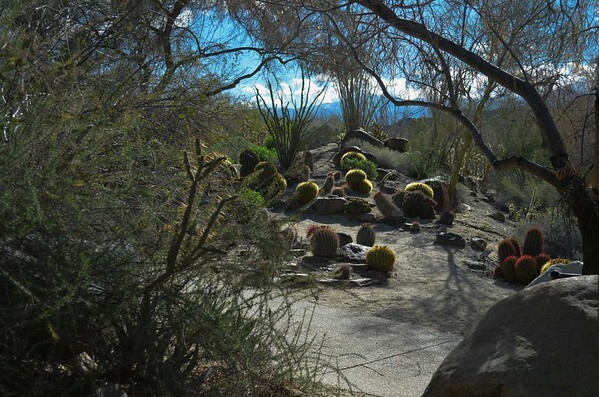 However, what I most wanted to see at The Living Desert were the gardens. We had a wonderful day browsing through the deserts of North America, marveling at the incredible variety of what we commonly thought were simply barrel cactus, the columnar cactus family, the many varieties of yucca, including the Joshua Tree. 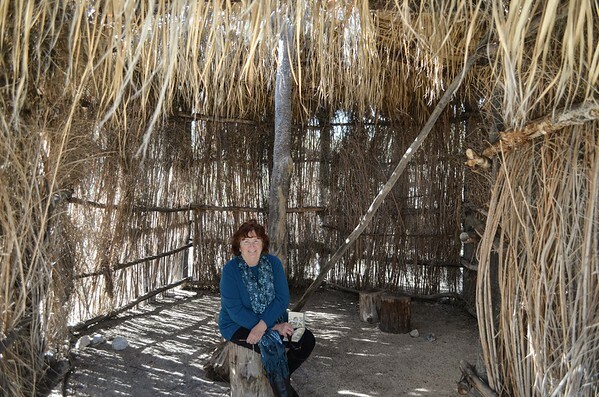 A section dedicated to the Cahuilla (ka-we-ah) people was fascinating, and I was happy to at last discover how to pronounce this word that I have seen in many places as we travel around the southern deserts of California. The beautiful palm oasis was very much like the Thousand Palms area where we have enjoyed many hikes into the cool shadows of desert palms and rare watering holes. By the time we had wandered the desert gardens, it was mid afternoon, and most of the animals were snoozing. The Jaguar was simply a beautiful but unmoving mound of spots, viewed through lacy stems of shrubs. The coyotes were snuggled into their dens, with photos through one way glass impossible to decipher unless you knew you were seeing a coyote sleeping. 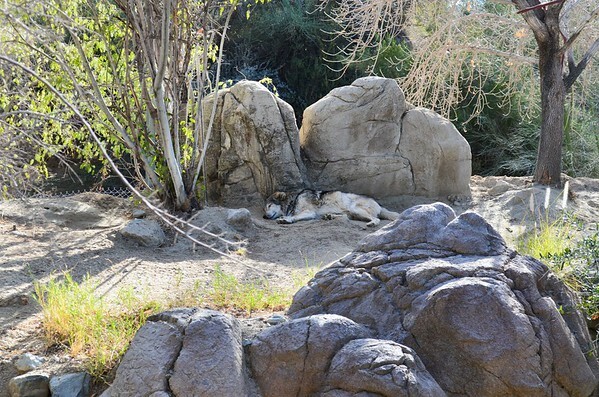 The Mexican Wolf was also napping in the afternoon sun. 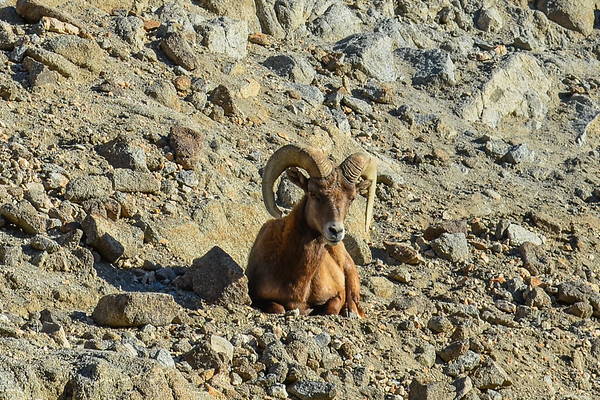 The Big Horn sheep however, were posing nicely on their rocky hill, and the Ibex and Gazelles were out and about. 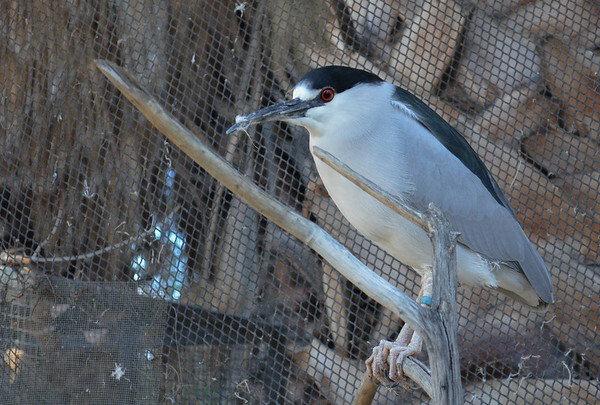 A few birds were in the walk through aviaries, but it was hard to get terribly excited about them when I have seen so many in the wild. There was a 25 year old woodpecker, named Dewey, retired to the hospital due to some physical limitations. 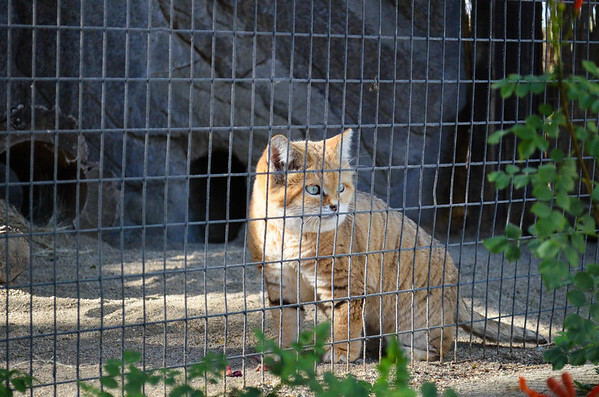 I had never seen a Sandcat, gorgeous creature. Much like a big fat tabby housecat. The meercats were among my favorites. Who can resist those watchful eyes and adorable faces! We were at the end of the day when we discovered the giraffes, and they were the highlight. Such incredibly amazing animals. On the way out, we passed the huge model train display which rivaled model trainI have seen anywhere. 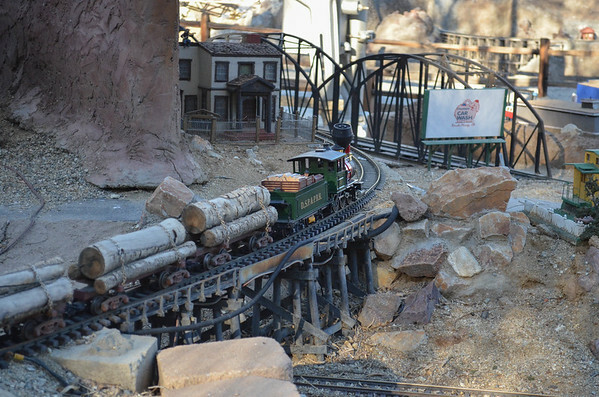 Brought back memories of my childhood September days at the LA County Fair, where the model train setup was as big as a city block. After our day at the Living Desert, we meandered west toward Cathedral City to try supper at a well reviewed restaurant, New Fortune Asian Cuisine. It was a small, very tidy little restaurant in a stip mall. The service was good, but the food was just OK, nothing to write home about. Someday we might try Wang’s in the Desert, only it would have to be on a day when we felt like dressing a bit more and spending a bit more cash for the highly rated cuisine. Maybe next time.